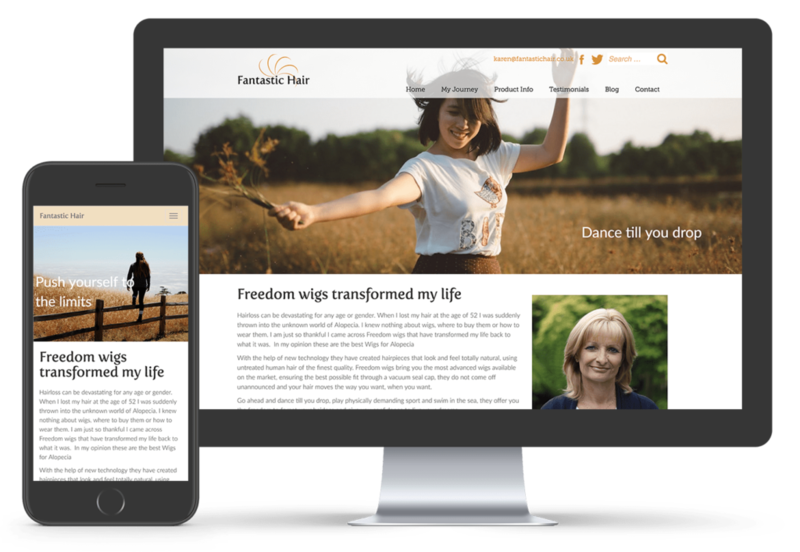 Karen from Fantastic Hair came to me as a new startup business with a small budget, wanting a website about her new role as a Freedom Hair wig agent. Karen developed Alopecia at the age of 52 and now wears these wigs that have transformed her life. Freedom Hair wigs use new technology to create hairpieces that look and feel totally natural and we are proud to have developed their new website. Feel free to visit her website fantastichair.co.uk and find out more about Karen’s inspiring story and experiences.